Thats beautiful… how long it took? 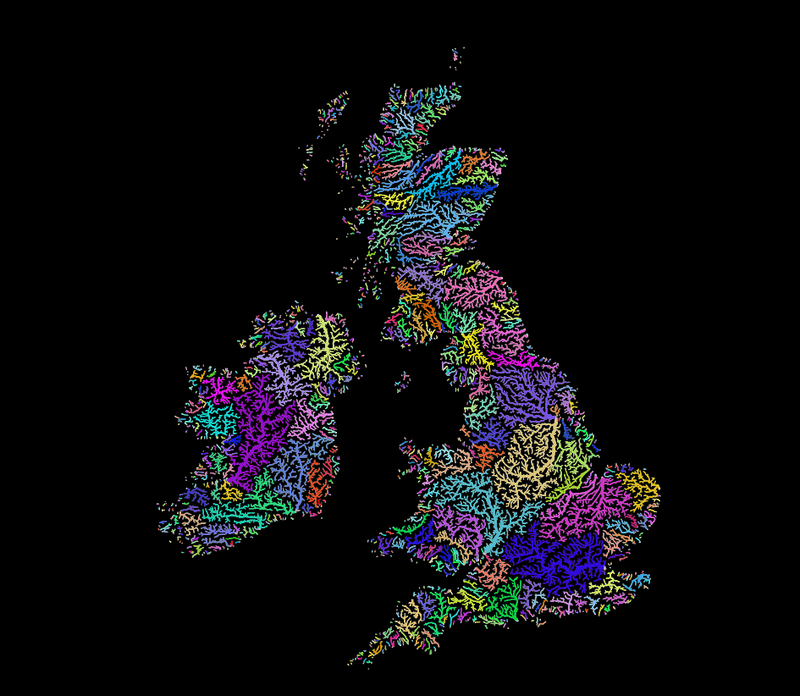 So I fired up QGIS, extracted the region from eu_riv_15s.zip, realised those rivers came without a corresponding basin, extracted the region from eu_bas_15s_beta.zip, set the map background to black, set the rivers to render in white, set the rivers’ line width to correspond to their UP_CELLS attribute, put the basins on top, colored them randomly by BASIN_ID, set the layer rendering mode to Darken and that was it. I should open an Etsy store. But Hannes, that original has some gradients! 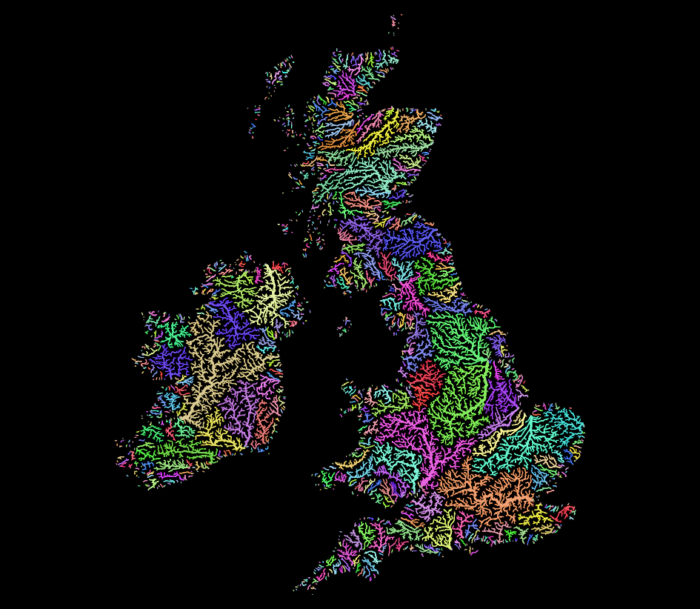 Ok, then set the rivers not to white but a grey and the basin layer rendering mode to Overlay instead of Darken. This product incorporates data from the HydroSHEDS database which is © World Wildlife Fund, Inc. (2006-2013) and has been used herein under license. WWF has not evaluated the data as altered and incorporated within, and therefore gives no warranty regarding its accuracy, completeness, currency or suitability for any particular purpose. Portions of the HydroSHEDS database incorporate data which are the intellectual property rights of © USGS (2006-2008), NASA (2000-2005), ESRI (1992-1998), CIAT (2004-2006), UNEP-WCMC (1993), WWF (2004), Commonwealth of Australia (2007), and Her Royal Majesty and the British Crown and are used under license. The HydroSHEDS database and more information are available at http://www.hydrosheds.org. This entry was posted in cartography, map, qgis, small things on 2019-01-24 by Hannes.